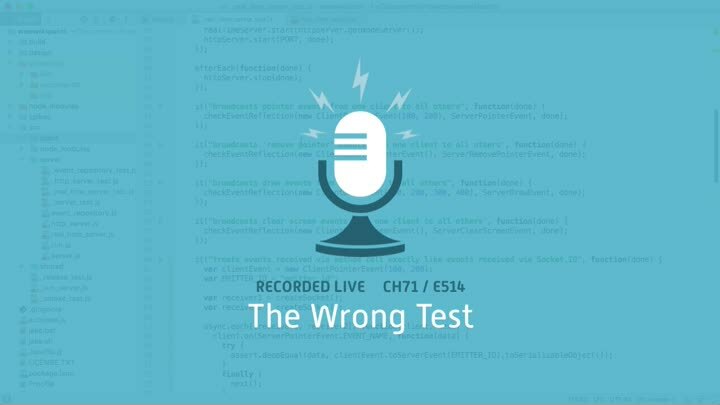 In the last episode, we built a new server backchannel so we could simplify our tests. It works beautifully—we drop about half the lines in our most problematic test and remove some complex server synchronization logic. But then, when we test that our test fails properly, the error appears in the wrong test. What’s going on?